To add a reference you need to be in the reference tab. You click the 'Add Reference' button on a section where you want to add the reference. 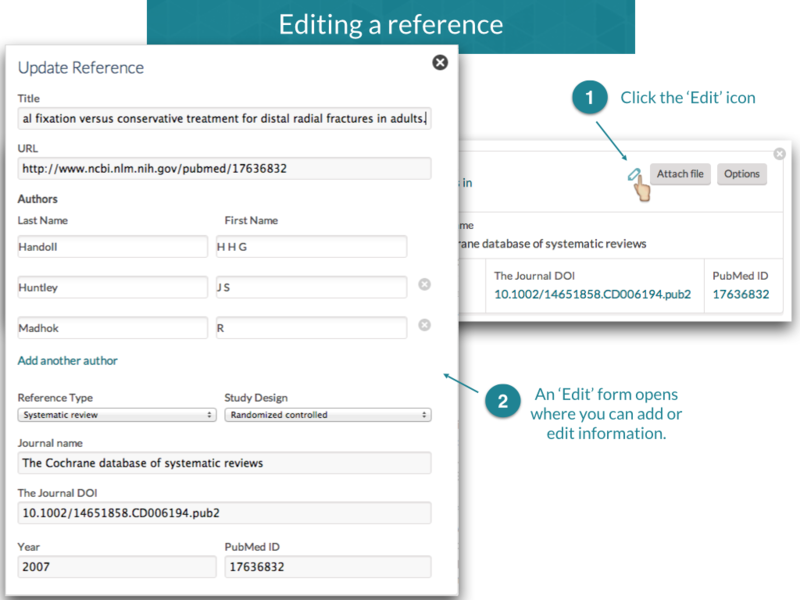 You then get the choices to add a reference manually, from the PubMed ID, from a RIS file or a RevMan5 file . A RIS file is a file containing reference data that can be exported from all major reference managers, PubMed, Epistemonikos, Ovid or other reference sites. When importing from PubMed using the 8-number PubMed ID, it will pull in all the information PubMed contains about that reference. When importing a RevMan5 file as a reference, make sure to have added your forrest plots as figures. See: Adding a RevMan5 file as a reference. The forrest plots are placed in the 'Results' tab. When you have added a reference you can edit it by clicking on the small green pen-icon. You can then edit or add information, like study type, the PubMed ID (will turn into a link to the proper PubMed site) and DOI (will turn into a link to the proper Journal site) or a URL. 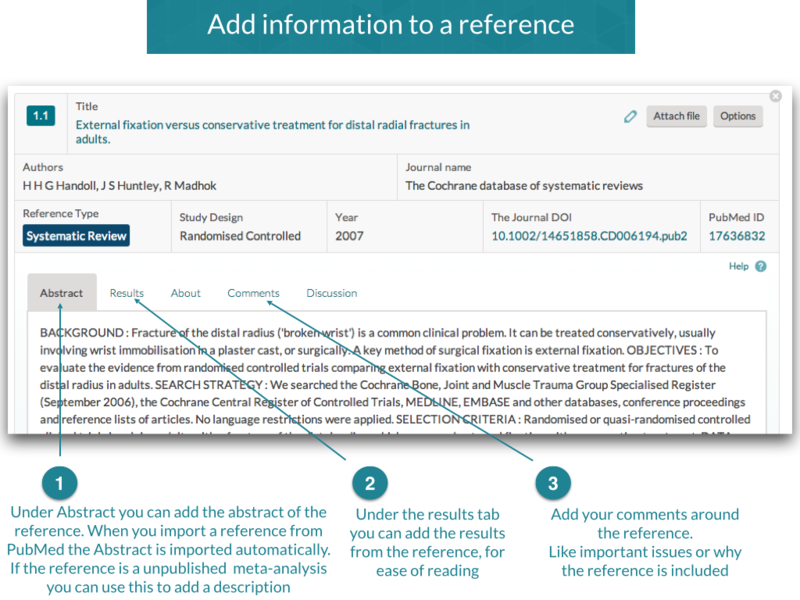 If you click the Reference number you'll get to the underlying content of a reference, where you can add the abstract, basic information (coming), outcomes (coming) or comments.